FINCO NOTCHES UP GAME 350! 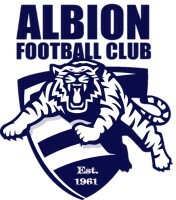 When someone mentions the Albion Football Club, Todd Finco is one of many names brought up and once again will certainly be mentioned this week! Starting way back in the Under 10's in 1998 at Albion, He will this week play his 350th game at the Cats! 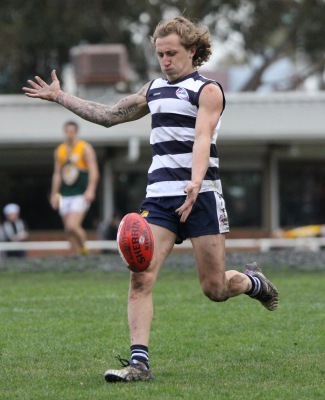 Finco has always been a well decorated player having a stint in the VFL with the Footscray Bulldogs in 2014 playing 6 games and kicking 7 goals before returning home to Albion to play with his mates! 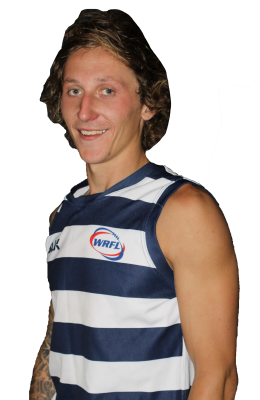 Finco has this year once again had a great season kicking bags of 7,6 and two bags of 5 in the space of 6 games, this has his tally at 36 goals for the year placing him 5th overall in the Goal Kicking ladder. Earlier this week Finco admitted that the nerves might start kicking, "Might get a little nervous on the Friday Night now" he joked. It cant be played in a game any bigger game then against our acrh rivals Spotswood! Make sure you get down to JR Parsons Reserve this saturday to see Toddy in action in his 350th game!